The bf got me the cutest little binder at Target a couple of weeks ago and I am obsessed! He says I like it because it's little and cute. He's right! I don't know why, but it being smaller than a normal binder does make it appealing to me. Well at first I was a little confused about where I would get paper for my mini binder and after finding the mini binder section at Target, yes it exists, I found paper packs and dividers. I wasn't really impressed with the selection so I opted out of getting dividers and of course opted for making my own. 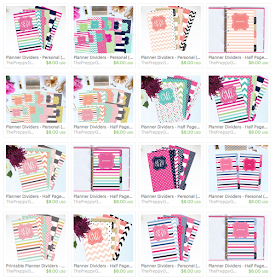 I made the mini dividers into an editable PDF that you can download for free, customize, print, and enjoy! Mini Binder - Mine is from Target and is not available online, lame! But I did find these pretty ones! Printer - I use this one. Open the file in Adobe Reader. You can download Adobe Reader for free here. Why Adobe Reader? 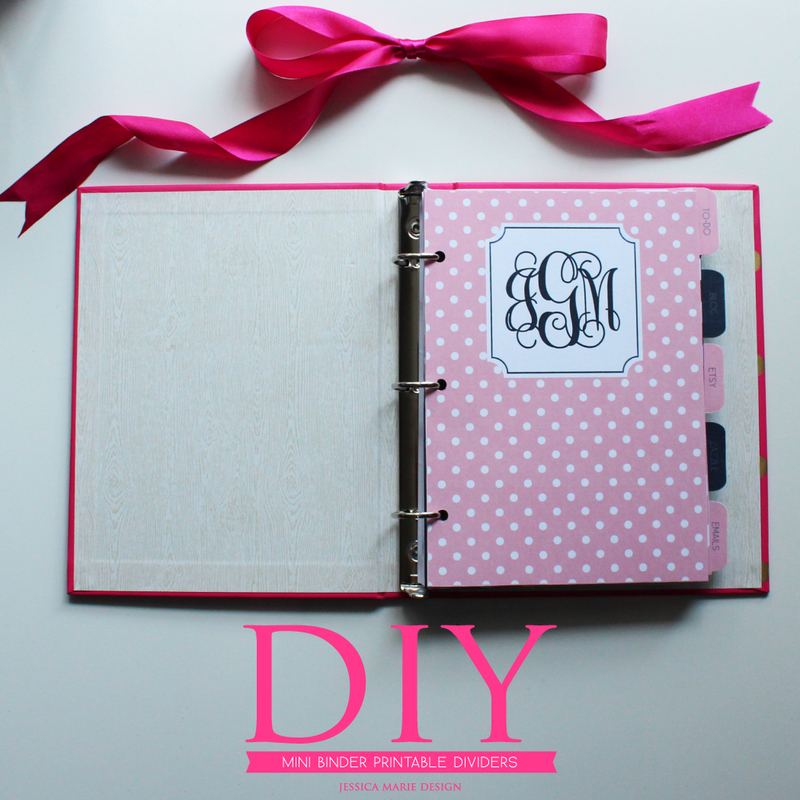 Because without it instead of the pretty monogram font you will just see plain text, no fun! Edit the tab text and cover text to say whatever you'd like! Save the file and print. I recommend printing on this card stock. With your files printed now it's time to cut out each divider. Since binders have different rings I decided against adding hole punch guides so for this step take a page from your mini binder and align it with the divider to see where you should hole punch. I used this adorable pink hole punch! 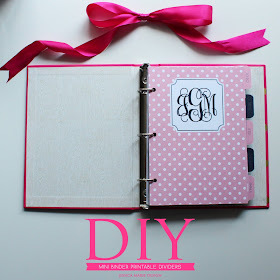 Place the mini dividers in your mini binder and enjoy!